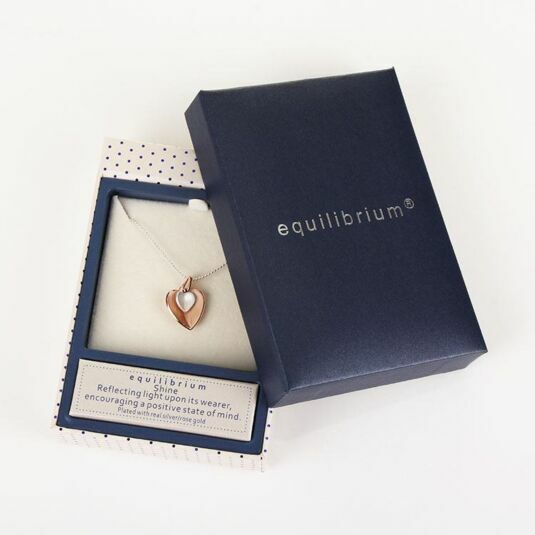 Part of the Equilibrium range of luxury jewellery, this elegant Heart Necklace is the most sentimental fashion accessory to wear as a stunning addition to any outfit, or gift as a meaningful piece to a loved one or family member for them to feel truly loved wherever they may be. 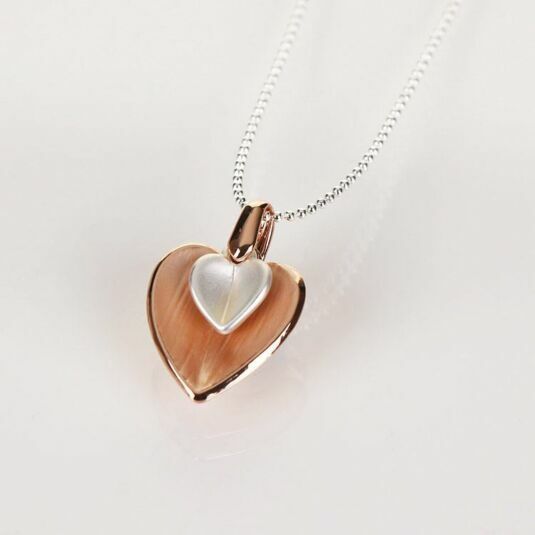 This delicate yet vibrant necklace showcases two heart pendants, one large rose gold plated heart and one smaller silver plated heart, both featuring a brushed matte finish. 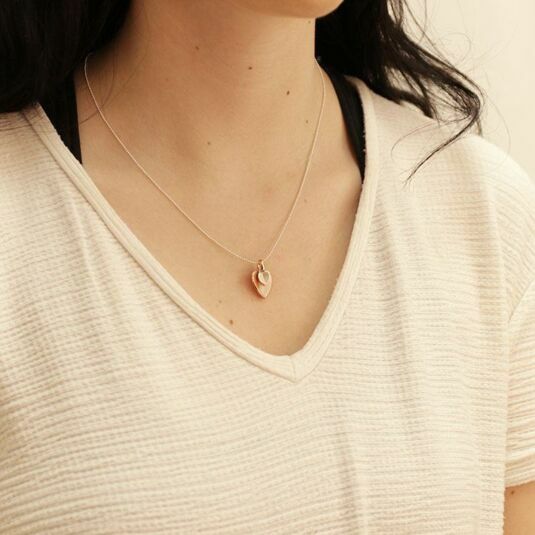 It’s attached to a dainty silver link chain, backed with a hanging equilibrium token and a metal clasp to secure around the neck. This wonderful gift is perfect for birthdays and Christmas, either for a close friend or loved one, as something sentimental that they can enjoy and keep forever. It comes in a rectangular equilibrium branded gift box, in a navy colour with a cream backing featuring glistening blue polka dots.